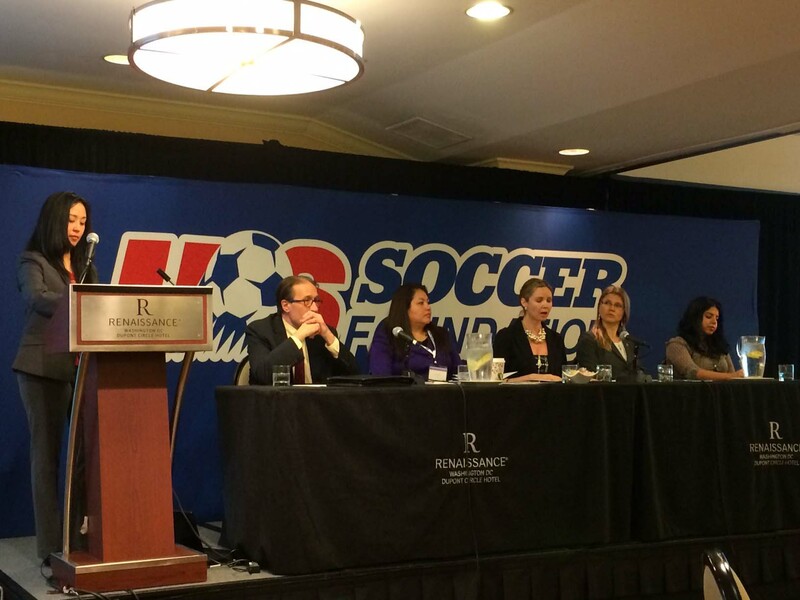 McAllister & Quinn recently organized and moderated a panel discussion on government, philanthropy and corporate funding as part of the US Soccer Foundation’s 8th Annual Urban Soccer Symposium in Washington, DC. Panelists included program officers from USDA, Housing and Urban Development, and the Corporation for National and Community Service, as well as program managers from private and corporate foundations. The Symposium features four days of interactive workshops focused on sharing best practices and maximizing organizations’ impact in the community. McAllister & Quinn also helped to organize the Symposium’s Capitol Hill Day, in which attendees go on Capitol Hill to meet with government officials to discuss how soccer is positively impacting children in their communities.